Best Technical SEO Tips for Improving your Search Ranking, The main purpose for search engine optimization is to enhance user experience onsite. You can enhance your websites performance by making use of search engine analytics tool. All the major search engines have their analytics tools. Anyhow, this article is about some technical SEO issues to avoid in order to give your site the best survival chance. Developing quality content and optimizing the same for browser searches constitute SEO basics. Here are some vital technical SEO tips on how to optimize your website to remain top in the rankings. The main purpose for search engine optimization is to enhance user experience onsite. You can enhance your websites performance by making use of search engine analytics tool. All the major search engines have their analytics tools. Anyhow, this article is about some technical SEO issues to avoid in order to give your site the best survival chance. Cloaking involves webpages showing differently for different users. This is one concern you should look out for because search engines don’t like SEO cloaked websites. So, just for the sake of your website, avoid cloaking and hidden links because they attract dire penalties. There are plenty tools online that will help you check for cloaking on site. Use them to tweak your web pages appropriately. When it comes to webpage redirects, it is only fitting that you do them appropriately. If not done well, this might compromise a website’s overall performance. For temporary change in URLs, it is advisable to use 302 redirects while 301 redirects are best for permanent URL and domain changes. It is crucial to remember that sneaky page redirects may attract ranking penalties. Bad redirects may also mean issues with link equity and filtering of duplicate pages. All these might impact your search engine rankings. If you can, just avoid page redirects altogether. Google’s panda algorithm penalizes for any content duplication. This is because it confuses search engines on the pages to index and rank if similar content appears on multiple pages. This implies that only one URL is allowed per content. Any content duplication would mean the search engine has to pick on what is most appropriate and filter out the rest. For internal content duplication, like is the case when many URLs lead to the same content, you just need to delete and make use of 301 redirects to the original page. Alternatively, you can use canonical tags. This is the page the will help your visitors at their point of need; when the page they are seeking doesn’t seem to exist. You will need to create your own custom 404 error page and use the same to steer visitors to other relevant pages. That is to say you include relevant links and other options in the page. While creating a custom 404 error page, it is critical that you own the page. Make it resemble your other webpages in terms of color, font and general layout. Once created, you will need to set up that new page as your 404 error page. This will depend on the website server you are using; Apache, Microsoft, WordPress etc. Note however, that some website hosts strictly do not allow set up of custom 404 error pages. This is an online visibility killer. Avoid copying other people’s content and using on site without their permission. Plagiarism might even cause your webpages to be filtered out of search engine results pages. It is in fact a capital online offence, if there is such a thing. The good news however, is that there are online tools that can help you with this problem. There are more than enough online plagiarism checking tools. Use these to ensure that your content is unique, lest you be penalized for plagiarism. Copyscape and Google’s Exact-Match Search are but a few of the commonly used tools. 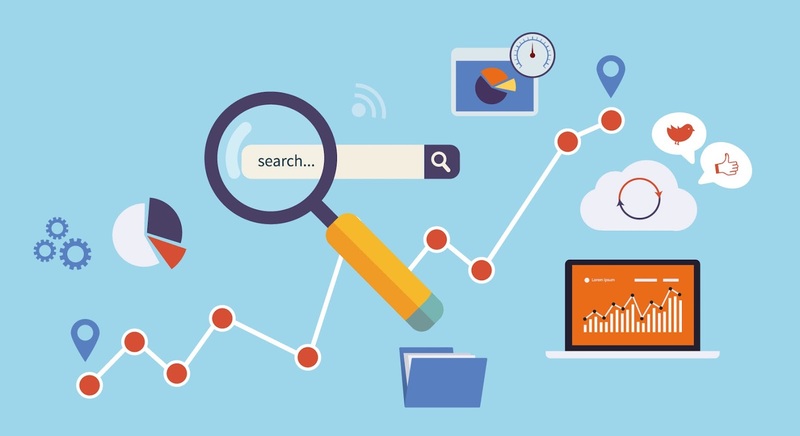 These technical SEO tips will help your webpages rank well in the search results. Take advantage of these tips to ensure your website attracts huge traffic.